As you all know by now, I am celebrating Valentine's Day with special posts and giveaways, all over the month of Feb, so here I am today with yet another exclusive interview. Meet Lynda Renham, who has a knack for writing novels injected with a punch of humour and sweet romance. Are not her books the perfect way to celebrate Valentine’s Day? I think so! :-) With an amazing success of “Wedding Cake to Turin”, she is now back with her latest novel, “Croissants and Jam”. Mouth-watering and delicious…right? Want to know more about her books, then read on! LR: I’ve always enjoyed writing. My mother was fond of telling everyone that I wrote a good composition. I always was a good liar. I spent most of my teenage years living in my own little world. RG: You write books which can be classified as “romantic comedies”. Why did you choose to write in this genre? LR: It was a great way of expressing my quirky humour. I have a tendency to laugh at everything. I also think laughter is a great healer and a wonderful way to banish the blues. I love reading comedy also. It is a genre that gives me pleasure both reading and writing it. When Charlotte is sent by her boss to deliver a wedding cake to Turin little does she know what she will be letting herself in for. Torn between feelings for her boyfriend and a new man that she meets at the airport, she embarks on a journey of hilarious situations, finding herself mixing with the rich and famous and the Italian Mafia. Charlotte has to decide just how much she is prepared to do for love but does the man she love truly love her? Charley's journey to find love is both hilarious and touching. Annabel Lewis (Bels) has two days to get to her wedding in Rome but her journey is beset with one disaster after another as fate takes its turn. Will the stranger she meets on the way get her to her wedding on time or will he change her life forever? Come with Bels on her humorous romantic journey to see if she marries Mr Right or if destiny takes her in different direction. LR: I would choose to be Bels, from the novel ‘Croissants and Jam’ because Christian sounds dead gorgeous and a lot of fun and I love Italy. 2) Be ruthless with your editing. LR: Absolutely. They are invaluable and I owe a lot to many book blogs. I publicly thank you. LR: There is always room for progress and E books are the future. I love my kindle. I also love the feel of a book. I think it is great that we have both. RG: How much time did it take for you to complete one book? LR: With editing, about a year. LR: I worked part time until recently, so I would get home from work, prepare some dinner and then dive into my summer house. A lovely cosy room in the summer and there I try to write a thousand words a day. Although in the summer I am easily swayed from the word processor by the lovely birds that come into the garden. LR: My husband is my best critic and my biggest support. It never feels like balancing but more like team work. I guess that the art of balancing is sharing. LG: I have many. I love Louise Bagshaw and Ronni Cooper. I am also a big fan of Iris Murdoch and she is my inspiration. LR: I will always remember the character Elizabeth Quigley from Helen Van Slykes novel ‘The Heart Listens’ That book affected me deeply. The character Elizabeth was so human and infallible that you could not help relating to her. LR: A book that keeps you up at night. LR: Ooh, that has to be when ‘Harold Hare’ magazine published my letter about my pet rabbit. I was thrilled. LR: Climb into the passenger seat of my husband’s microlight. He was not my husband then and I very much wanted to impress him. I was terrified the whole flight but never told him. I later came to love it, of course. LR: Watch a movie without doubt. · Love is...eating a salad when you really want chips because you don’t want to get fat for the one you love. · Life is... In my case, a series of calamities. · Writing is...Fun, fun fun. At the present time Lynda is an associate editor and contributor for ‘The Scavenger Online Magazine’ where she is known for her strong political features on the Middle East. The Scavenger has a readership of 20,000. Lynda also has a following on Facebook and maintains a humorous blog. Lynda contributes to other blogs and has written articles for Woman’s Own and other magazines. In addition, Lynda has taken part in BBC radio discussions on infertility and involuntary childlessness, having found herself unable to have children in her first marriage. Lynda is the founder of the ‘Childless Support’ group. ‘Wedding Cake to Turin’ is a romantic comedy which was published as a paperback and on Kindle. The novel was launched in January 2011 under the name of Lynda Renham and held the number one bestseller spot for all paid Kindle books for several weeks. The novel has stayed in the top ten paid kindle humour bestsellers for over six months with readers eager for Lynda’s next offering. 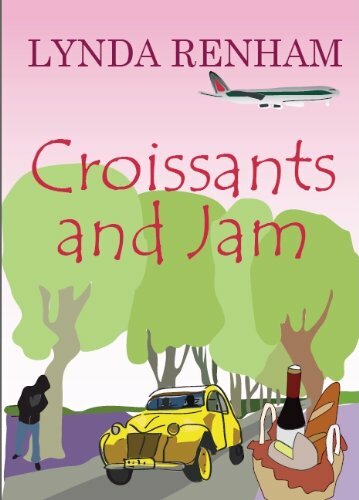 Following the success of Wedding Cake to Turin Lynda has written Croissants and Jam, a second romantic comedy. As Lynda has a wicked sense of humour and is a prolific writer we can expect many more to follow! Meanwhile Lynda eats tangerines at an alarming rate while craving chocolate. To buy her books on Amazon, click here. To buy her latest book, Croissants and Jam, click here. The results will be drawn through Random.org. The winner will be notified through e-mail by “The Review Girl”. Thanks to Lynda Renham and her publisher for organizing this wonderful giveaway. It is the responsibility of the publisher to send the book to the two (2) lucky winners. 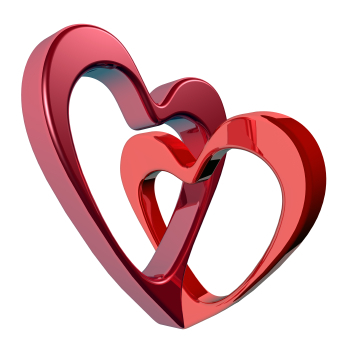 To take part in other Valentine's Special Giveaway on my blog, click here. Thank you for always supporting indie authors. Yes, I love to promote new authors who deserve recognition, indie and traditionally published. What matters is their quality of work and not their method of publishing. Dang it, silly phone didn't post my comment. As always, great interview! I love getting to know the authors behind the books. And of course now I have more books to add to my wish list!